Based on true accounts of drug addiction, this tragic Icelandic drama follows best friends Stella (Eyrún Björk Jakobsdóttir) and Magnea (Elín Sif Halldórsdóttir) from teens to their adulthood. Stella and Magnea, it feels stressful to just write their names after witnessing the excruciating awfulness of their lives. Let Me Fall is centred on their very intense relationship. An attraction that brings with it chaos, reminiscent of the two young lovers in French drama Blue is the Warmest Color. At first we observe them as teens, trouble-makers and bored in Iceland. Magnea with her magnetic glassy eyes and Stella the devil’s advocate. 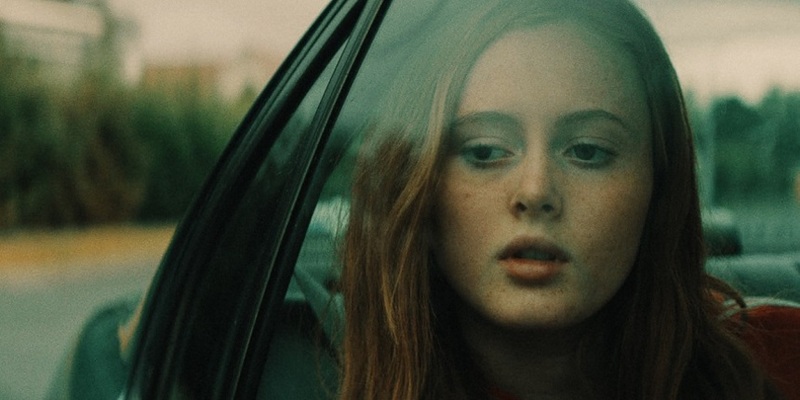 Typical teen malaise quickly gives way to an authentic gritty drama, and a few reckless decisions lead to a dangerous euphoric high and the beginning of the end. Stella and her sleazy drug dealer boyfriend are already injecting, and when Magnea decides to try it, it seems not a big deal. Let Me Fall moves forward fast however, balancing scenes of both of them sixteen to eighteen years old, interspersed with the crushing view of Magnea in her mid-thirties and Stella, in a much different but ultimately equally sad position. Low-tempo heroin shoegaze tunes thrum into the soundtrack, reflecting the drugged out haze and terrible decisions on-screen. This leads to a point in Let Me Fall where Stella and Magnea become powerless to the addiction. There are tender moments between them even during the most desperate of times, and as they get more addicted and ingrained into the junkie lifestyle, the story gets more frenetic. The music changes to hard techno and brightly lit parties. Stark comparison to a later scene of no music as haunting long takes capture a horrific moment, the most violent of details relegated to off-screen. Decisions are made and only hinted at, vital moments of trust between Stella and Magnea that are destroyed and can never be undone, fuelled by their terrible need. The horrible scars of these decisions are reflected in the present and the adult lives of these women. Let Me Fall utilises a surprising jump cut early in the film, Magnea as humble and naturalistic and young at school is interrupted by a horrible half-crazed older woman, stumbling in the street, desperate for a fix. Every shot of Magnea in the future feels like regret, and permeates this feeling through its grimy aesthetic. Stylish and ironic moments put both girls in the same desperate situation others were in that they made fun of as teens. Throughout the film the parents of Magnea act pragmatically, progressively but alwas at a distance, waiting for her to hit bottom. Ultimately, there is no bottom in Let Me Fall that can undo the broken bond between both Stella and Magnea, we feel the guilt, frustration and shame Stella carries through her well-adjusted middle-class adult life. She has perhaps survived the bottom, but to what end is a life lived with such a heavy heart? The films covers everything from the past that reflects the fractured nature of both Stella and Magnea. The piecing together of what happened in their past is tragic enough, but Let Me Fall really has a major point it is yet to make, but it will. Let Me Fall’s grotesque stormy ending is unforgettable because for a moment the film stops being about addiction, and vies for something far more personal, deep, and traumatic. Once all the pieces fall into place, the film has you.